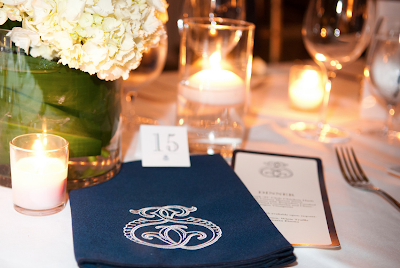 I had the pleasure of working with Courtland Smith, one of the dynamic duos of No. 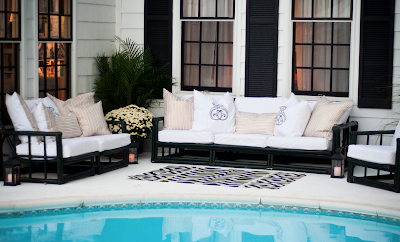 Four Eleven – only my favorite home store in Savannah! 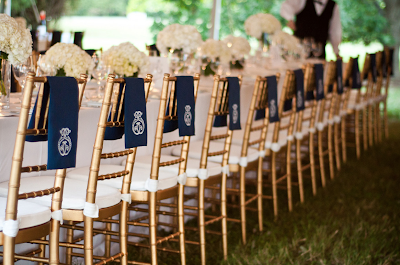 She was married in Oxford, Maryland and had a beautiful reception on the water. 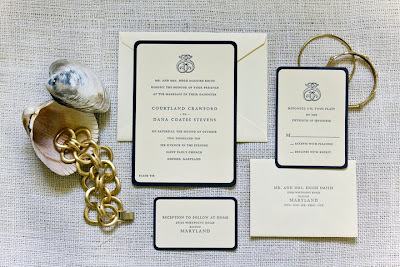 Here are a few highlights of her letterpress invitations with the double “S” with shell detail in addition to the beautiful monogramming done by Courtland at the shop. 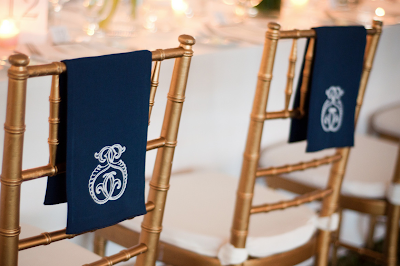 Custom embroidered napkins completed each chair setting. Lounge area complete with embroidered coordinating pillow and rug. 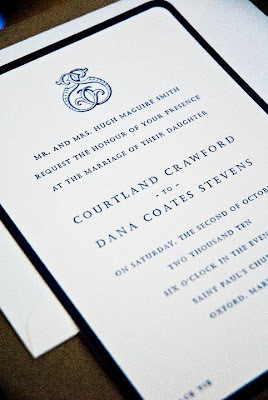 Courtland and Claire are so talented, visit their website or stop by their store!